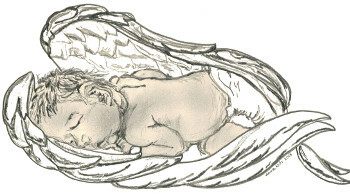 This website is dedicated to the memory of our beautiful little baby girl, Eibhlín Gráinne Wills, who sadly passed away, suddenly & peacefully on her 12th day. We want to help raise awareness of the cause of her death, promote education, and prevent further deaths & heartache in the future. Please read Eibhlín's story here. To love, to hold, to treasure. A very special miracle who gives us so much pleasure. We're so glad that they were born. Will stay forever in our hearts.